New Orleans Saints running back C.J. Spiller, one of the team's notable offseason signings, underwent an arthroscopic procedure on his knee and is expected to be sidelined for the remainder of the preseason. Reports suggest that Spiller should be ready in time for the Saints' week 1 trip to Arizona. Spiller, 28, had been missing from training camp practices with what was being called a "minor" injury. He missed the Saints' preseason opener on Thursday night in Baltimore, and was seen in Pensacola, Florida on Saturday. Orthopedic surgeon James Andrews has an office in that area. Saints RB C.J. Spiller is expected to miss the rest of the preseason after undergoing arthroscopic knee surgery. 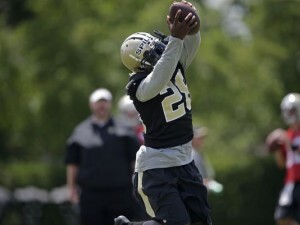 Spiller, who has battled multiple lower-body injuries throughout his five-year career, is expected to play a large role within the Saints' offense this season. New Orleans has finished near the top of the league in pass attempts to running backs in recent years, and Spiller is slated to play a significant role similar to that of former Saints players Reggie Bush, Darren Sproles, and Pierre Thomas. Mark Ingram remains established as the team's starter, but with Spiller sidelined, the likes of Tim Hightower and Marcus Murphy will see extra work and a chance to impress, while Khiry Robinson will also see more snaps. The team may also look to bring in another back while Spiller is sidelined. Thomas, who spent the first eight years of his career with New Orleans, remains unsigned after being released by the team in March. He was close to signing with the Houston Texans, who have lost their starting running back Arian Foster for several weeks due to a groin injury, but the move fell through. Spiller missed six games with Buffalo last season due to a collarbone injury. 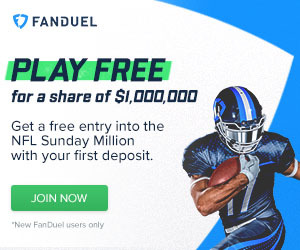 His best season to date came with the Bills in 2012, when he rushed for 1,244 yards and 6 touchdowns to go along with 43 receptions for 459 yards and two additional scores. He signed a four-year $18 million contract with New Orleans in March which includes $9 million in guaranteed money. The Saints' next preseason game will come against the New England Patriots next Saturday, August 22. The teams will hold joint practices at the Saints' training camp base at the Greenbrier resort in West Virginia.